Receipt Printer: Portable, USB, Wireless, iPad & More - Big Sales, Big Inventory and Same Day Shipping! Barcode Giant offers a range of receipt printers for all businesses and applications. We can provide mobile receipts printers for workers on-the-go, stationary or desktop receipt printers for the point of sale counter or kiosk printers for those who want to provide customers with a self-service experience. 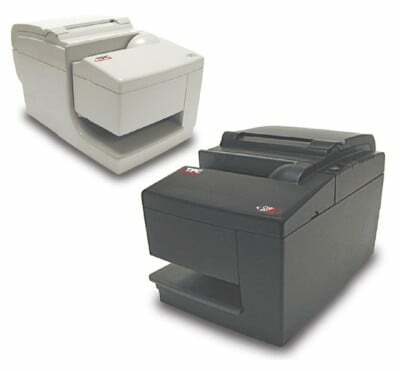 We offer specialty receipt printers for Quickbooks and Kitchens and can provide receipt printers for any type of connection, including USB, Serial, Ethernet, and Bluetooth. Call one of our experts for more information or choose a receipt printer from one of our top brands like Star, Epson, Zebra, NCR, Citizen and more, in various sizes and at various price points. The SRP-350II OBE is a reliable printer with a print speed of up 7.87 ips. The printer is compatible with mobile devices including iPAd and Android. Simple to use Bluetooth wireless mPOS printing. The CMP-10 is an ideal printer for applications requiring small and lightweight wireless printers. At less than 12 ounces, the CMP-10 provides an IrDA interface and 50 mm/sec printing(203 dpi) which adds a high degree of functionality for any mobile environment. With a long-life lithium-ion battery and an optional magnetic stripe card reader the CMP-10 is a perfect choice for a versatile compact mobile receipt printer. The A776 impact slip station allows drop-in validation with top, front or side insertion of checks or other forms. It also reads MICR information from checks, general ledger tickets, etc. The A776 offers a paper low indicator and exhaust sensor, multiple resident emulations, and is available with several popular interfaces, including USB. The A776 ribbon cassette has been designed for a snap-on/snap-off, "clean fingers" installation and can be used with any new or recycled bond paper. The A721-XQ offers a high performance and a wide range of capabilities without breaking the budget. The A721-XQ has features that previously require multiple machines with MICR, slip/validation functions, a cash drawer driver port (for 1 or 2 drawers), a paper low sensor and indicator, a positive slip position sensor and indicator, and multiple resident emulations all in one unit. The A721-XQ set a new standard in station printing. The A758 is an ideal solution for any check processing application. With it's 'single-step' automated processing the A758 can read the MICR, print the validation, 'flip' the check, print the face and then present the check back to the user. The A758 is a state-of-the-art multi function printer designed for the most demanding applications. The A794 is the ideal single station thermal receipt printer for retail, kitchen environments and hospitality applications. The A794 offers the same ultra-reliable quality you have come to expect from TPG, plus many new features. Being one of the fastest printers in its class, the A794 dramatically reduces the waiting time at the POS. 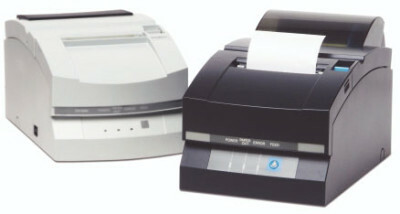 The A795 was designed to cut down printing time at the point of sale. With a print speed of 180 mm/s in monochrome and 100 mm/s for two-color printing, TPG's ColorPOS printers are among the fastest two-color printers in the industry with first class monochrome print speeds. CT-S310 can print on paper widths of 58 or 80 mm in black and also in two colours with suitable media. It is particularly well-suited for all POS applications in retail and hospitality and mainly targeting price-conscious customers who still insist on the high quality and reliability of a brand product. The CT-S310 is compatible with Microsoft Windows XP and the new Vista operating system. Its compact design allows the CT-S310 to be positioned horizontally or vertically or to be wall-mounted to fit into tight locations. 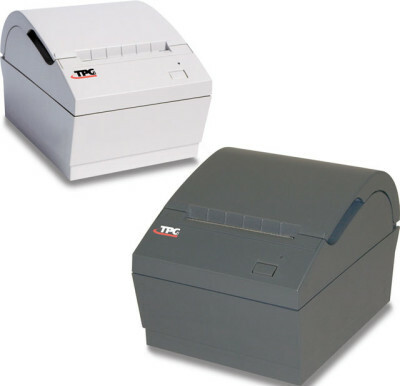 The CBM-1000 II thermal POS printer is an ideal choice for a variety of applications. The CBM-1000 II features high-speed, two-color printing, a small footprint, and an interchangeable serial/parallel/USB port for reliable, versatile printing. The CBM-1000 II also features a longer-life paper cutter, bar code printing and flash memory for storing and printing logos. The CBM-1000 II is the ideal unit for your POS application. Simply a Better Value. The Citizen CD-S500 is tabletop or wall mountable with an internal or external power supply. The CD-S500 includes built in non-volatile memory, which retains data if the power source is removed. The CD-S500 is designed to accommodate several printing applications including receipts, coupons, tickets, daily reports, kitchen slips and delivery slips. It features a logic seeking print head, is ESC/POS compatible and features a built-in buzzer. 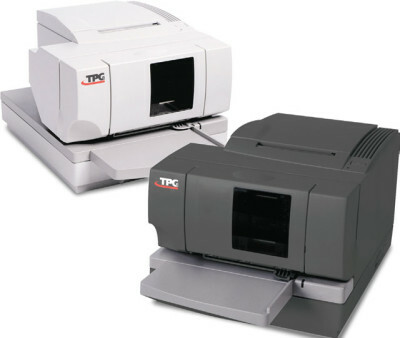 The CD-S500 also features two-color printing capability. Star Point of Sale Printers are the industry leader in thermal and impact receipt, kitchen, kiosk printers. All Star printers are backed by a one year manufacturer warranty.